An important arts institution in the East Bay, the Oakland Museum of California (OMCA) is developing program engagement strategies to increase museum participation by underserved communities. 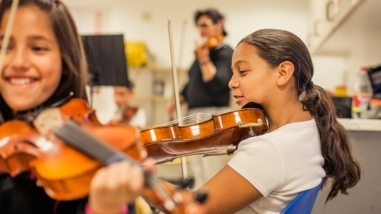 OMCA’s performing arts programming has been essential to these efforts. Serving 150,000 people annually, Friday Nights @ OMCA is a free weekly family-friendly block party and "open door" that serves the diversity of the Oakland community. The "Go Local" music series is an essential component of Friday Nights @ OMCA, which features top local Bay Area musical artists, a DJ residency program, and interactive demonstrations and dance classes. Since its launch in 2013, "Go Local" has showcased more than 400 bands and performers ranging from alternative to rhythm and blues to world music. 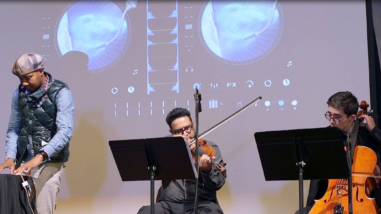 With a first-time Hewlett Foundation grant, OMCA plans to expand its performing arts programming into the gallery space by creating "Acoustic Space 6."